WIN! One of 5 tickets to Headroom and test out stacks of headphones! 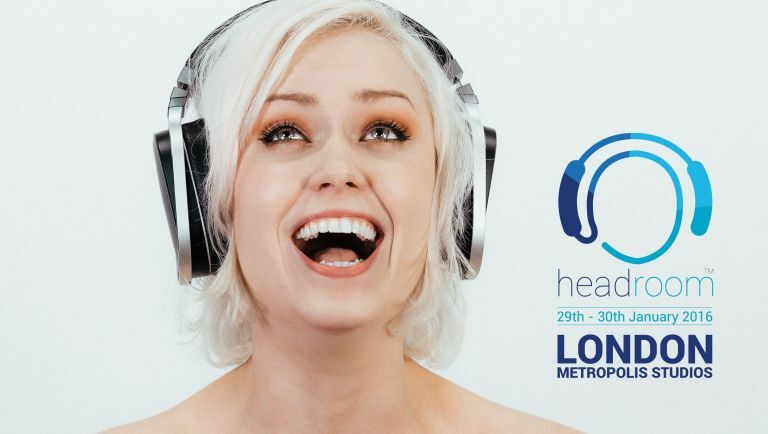 Headroom is the UK's biggest headphone experience - unique two-day festival of sound that brings together the world's leading portable audio manufacturers. Running from Friday 29 to Saturday 30 January, the venue is Metropolis Studios in Chiswick, London. It's home to the most successful independent recording, mastering, creative and production facility in Europe, is opening its doors once again forheadroom, Adele's 25 was recorded there, while Rihanna, Michael Jackson and U2 have made music there, too. You could be there - we've got five tickets to give away - click here to answer the multiple choice question. Headroom features the very best in portable audio tech, plus the opportunity to try and buy with special discounts. There will be a number of brand new headphones and portable audio devices for you to test out. Brands, including Sennheiser, SHURE, Audiolab and Quad have chosen the event to demo their wares. Don't forget to enter the competition.